When I started on this journey, my goal was to create a memorable gift that everyone would enjoy, not only receiving but also giving- from birthdays to life celebrations to holidays. 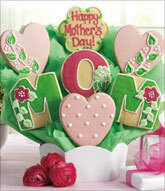 Our cookies are of the highest quality, baked fresh and hand decorated to order with care and attention. We pride ourselves in the highest attention to detail and the most delicious recipes. 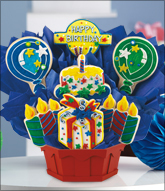 We see cookies as a blank canvas and the ability to customize a gift is appealing to customers who have a lot of choices today for unique gifts. In addition, the stores across the country offer same-day delivery, so that personal touch goes a long way. 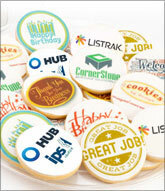 Our customers continue to turn to Cookies by Design to help them deliver personal and creative expressions to others in a unique and fun way. 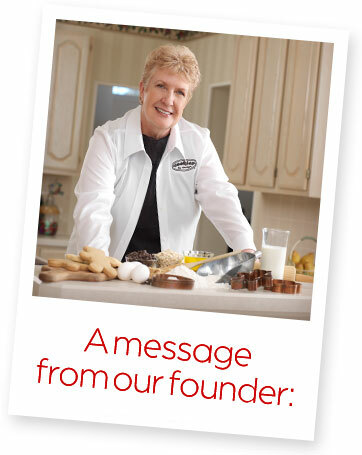 Cookies by Design, a woman owned business, was founded in 1983 by Gwen Willhite. Gwen had the idea of making a gift suitable for not only women, but men as well; a gift that he would be excited to receive at his workplace. 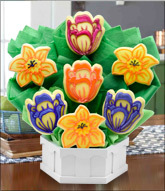 So she combined two traditional gifts of flowers and sweets and created a deliciously clever concept: the cookie bouquet. 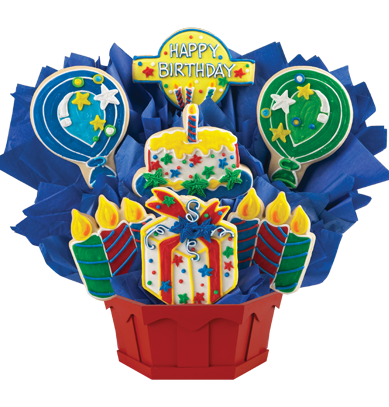 Her edible bouquets of custom-shaped and hand-decorated sugar and cinnamon brown sugar cookies on sticks were cleverly arranged in baskets as tasteful gifts for any holiday or occasion. These impressive gifts were instant hits among men and women alike especially because the product tasted as good as it looked and Gwen's budding enterprise soon outgrew her own home kitchen. The newly successful entrepreneur moved to a location in nearby, Tulsa, Oklahoma. Then in 1986 when things really picked up, Gwen moved her business to Dallas, Texas. After the Dallas business was established, Gwen turned her attention to the numerous requests from others wishing to start their own Cookie Bouquet franchise. 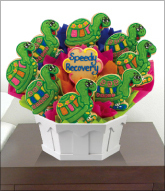 The first franchised Cookie Bouquet location opened in 1987 and the momentum has been growing ever since. 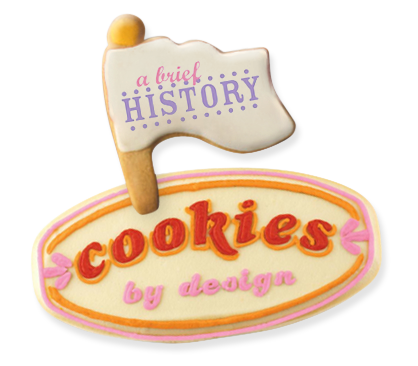 To better reflect all of the creative, unique and customized products sold, Cookie Bouquet locations changed their names to "Cookies by Design" and launched the cookiesbydesign.com website to capitalize on the growing ecommerce market.